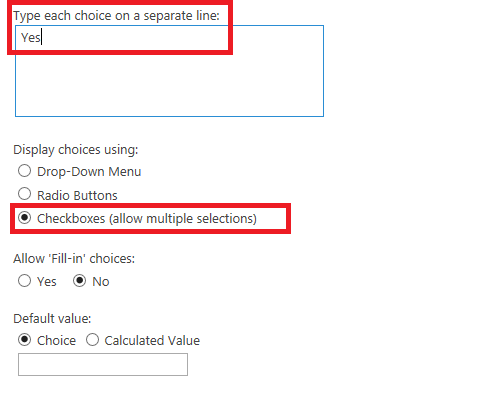 and everything went well, or example if i had a item which have the checkbox checked, then using the radio button, the "Yes" button will be selected automatically. but the issue i faced is that before changing the field type i defined to hide the column inside New form. but after changing the choice rendering from checkbox to radio button, the column started to show in the New form, and when i checked the column property using powershell, i can see that now the column have its ShowInNewForm = Null instead of False. Browse other questions tagged 2013 powershell column administration or ask your own question. How to setup a calculated column for a choice column? 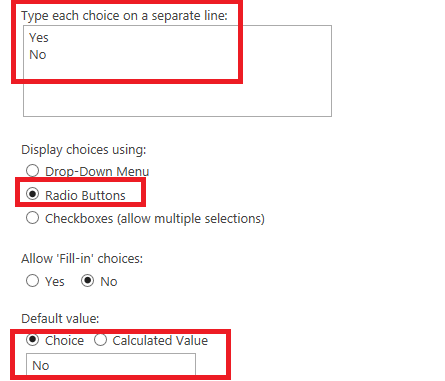 How to disable/ hide delete button for column in list in SharePoint Online?